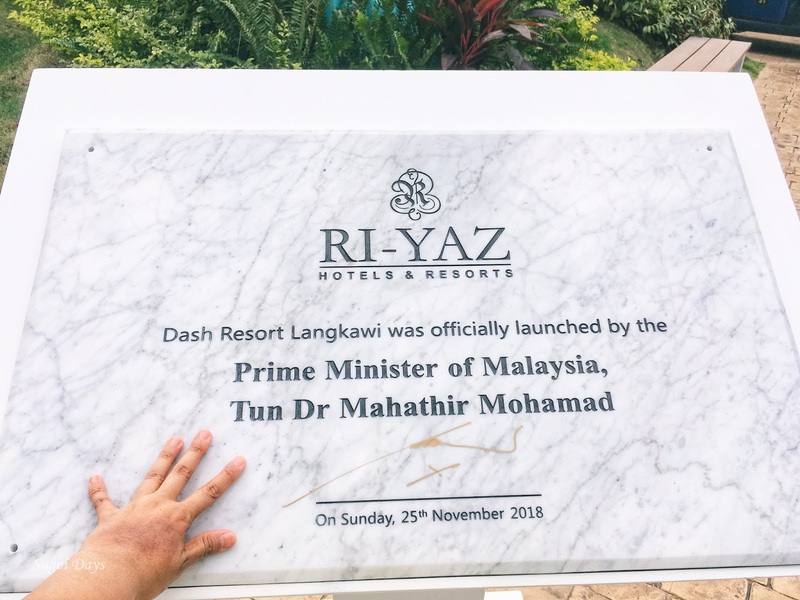 Sugoi Days: Tun Dr Mahathir Launched Dash Resort Langkawi...and I was there. 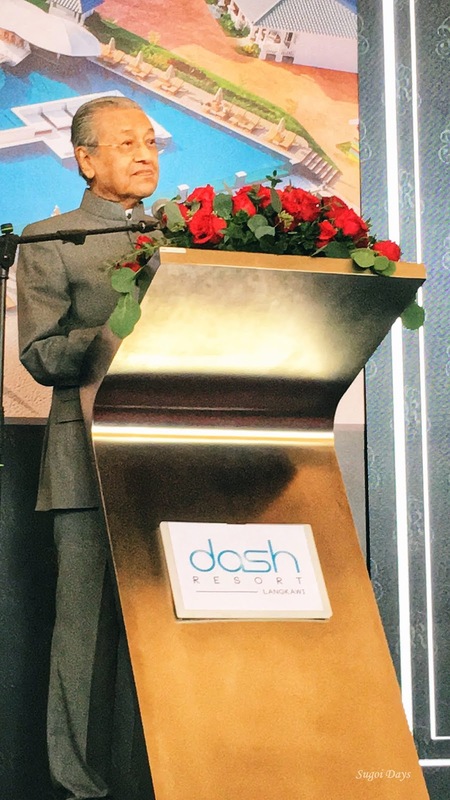 Tun Dr Mahathir Launched Dash Resort Langkawi...and I was there. Over the last weekend, YAB Tun Mr Mahathir arrived in Langkawi to officiate the grand launch of the all new trippy, very Alice-in-Wonderland Dash Resort Langkawi. And I was honored to have been invited to attend the event after two days of enjoying the resort itself. I must say, it was one of the most relaxing trips I've had in a long time. But more on that in my resort review later on! 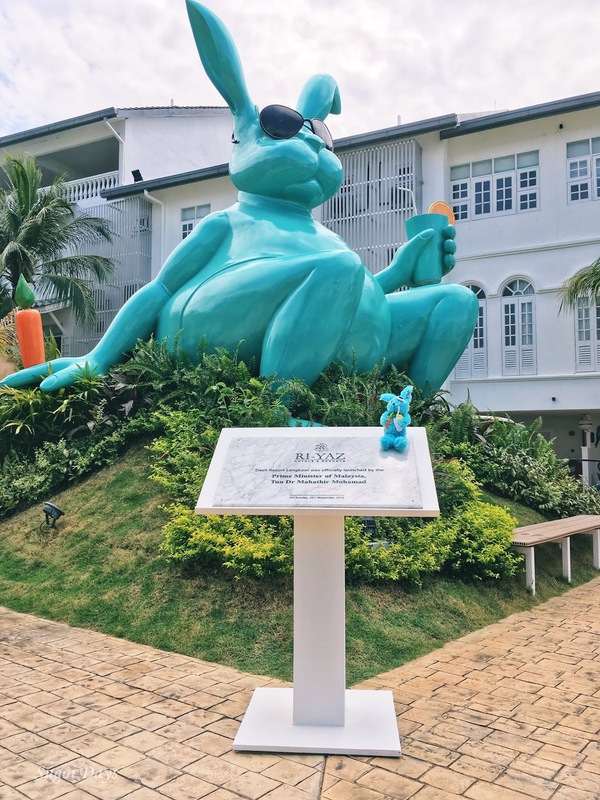 Here are some facts about this magical beach paradise - Dash Resort Langkawi is owned by Ri-Yaz Hotels and Resorts who also owns the Dash Hotel Seminyak Bali (near the famous Potato Head) and Dash Box Hotel Cyberjaya (with the Ministry of Finance). 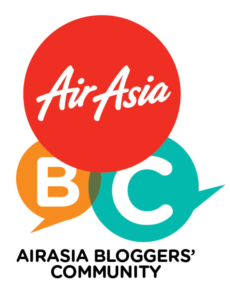 In the coming 14 months, travellers, international and local, can anticipate the opening of Dash Hotel KLCC, Dash Heritage Penang which from the preview is looking to be very instagrammable setting in a heritage building and finally Dash Oriental Malacca. Psst, word has it that there will be swimming pool that runs through the lobby and around the hotel grounds. How cool is that?! 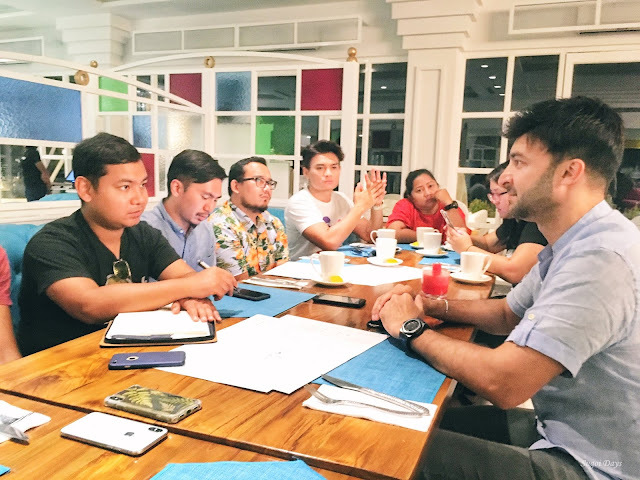 According to Datuk Seri Mohammaed Shaheen Shah Mohd Sidek, Founder and Group Managing Director of Ri-Yaz, the selection of the hotel and resort locations are done based on the needs of the markets of that area. "Our strengths lies in the understanding of the location and our clientele. Design is at the core of what we do and we had built a unique experience that incorporate location, culture and the intrinsic qualities of its surroundings to ensure that each experience is distinct." 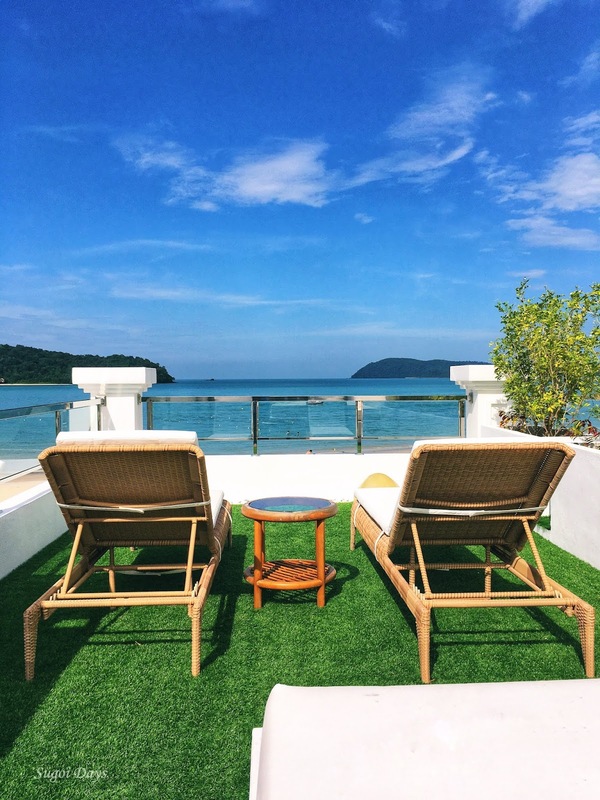 One example he shared of the resort design was of the Dash Jacuzzi rooms which is located in the resort's prime location - right above the Dash Beach Club, facing the picturesque Andaman Sea. Prior to Ri-Yaz Hotels and Resorts commandeering the property, the hotel was once the Lanai Resort, a three stars hotel that had seen better days. "What is now our most coveted rooms in Dash was once the Lanai's ballroom which had an amazing view that was sadly underutilized because how often did events happen in the ballroom anyway?" said Datuk Seri Shaheen. "When we took over, we saw an untapped asset and without hesitation, we had our team in Bali work on designing the Jacuzzi rooms and the rest as they say, is history." So coveted it was that even the media did not get a chance to experience the magical sunset from those rooms as they were all booked up that weekend. The uniqueness of Dash Resort Langkawi recently won the prestigious World Luxury Hotel Awards for the Best Design Resort, the first ever to be won by a property in Langkawi. The Ri-Yaz Portfolio is diverse, boasting a wide range of bespoke brands that complement and support the travel market from education, design, technology, consultancy, retail and F&B to concierge travel services. Ri-Yaz is also a Google partner and is the first to map out Maldives in a 360 virtual reality tour in partnership with the giant corporation. On 15 December, Ri-Yaz will be launching its own Yacht rental services in Langkawi, called Avante Holidays. Other upcoming managed properties will also include Ri-Yaz Lavanya Resort Langkawi, Altara Residences Quy Nhon and Altara Suites Sa Pa, Vietnam. 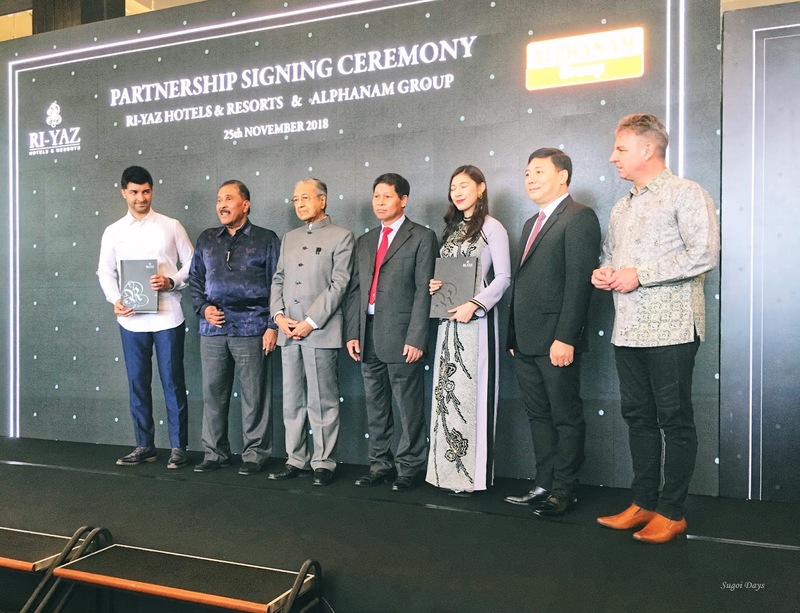 In conjunction with the official launch of Dash Resort Langkawi, Ri-Yaz Hotels and Resorts also signed a Memorandum of Understanding with Alphanam Real Estate Vietnam to managed the Vietnam properties. The signing ceremony was witnessed by YAB Tun Mr Mahathir and His Excellency Mr Le Quy Quynh, Ambassador of Vietnam to Malaysia. Those in attendance of the launch were also treated to a sneak preview tasting of Ri-Yaz's own halal dim sum and boat noodle venture, Dodo Dim Sum and Bowls which is set to open in Nu Sentral and Subang Parade.